I have recently, on behalf of my father, donated an 1896 cycling magazine to Coventry Transport Museum. 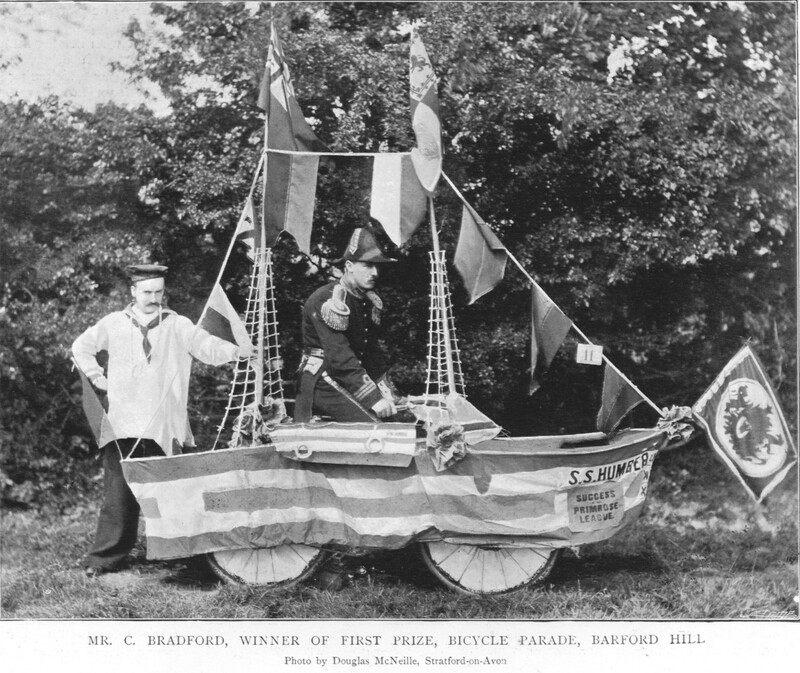 I was surprised to see that it contained a photo of the winner of a bicycle parade, at the Primrose League Fete at Barford Hill in that year, (Mr C. Bradford) I asked the museum to scan the image so I could send it to you for your archives. 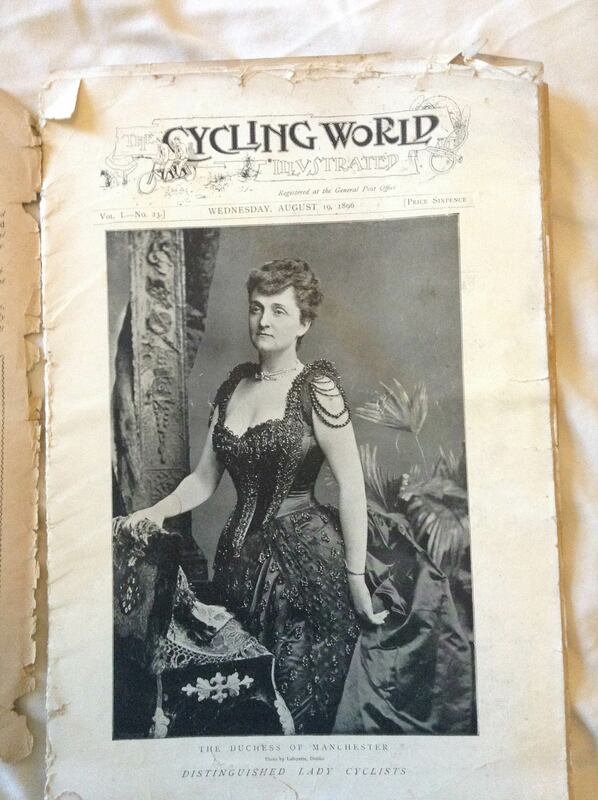 The magazine was called Cycling World Illustrated (I will attach a picture of the cover) and, as far as I can tell from Google, only lasted for a few months. It’s entertaining mix of of news about cycling manufacture, interviews with cycling worthies, pieces about cycle touring in the counties, “cycling modes and millinery” and romantic fiction. It also includes what would now be termed “user generated content”, of which the photo from Barford Hill is one example. I noticed in the photo that the boat depicted is called the S.S.Humber. A quick search reveals that there was a steamer of that name which was destroyed in the first war although that one was not launched until 1899, some three years after the photo was taken. I hope it hope the photo is of passing interest.